How to Configure Payment Gateway with eZee Absolute? How to use Guest Portal in eZee Absolute? 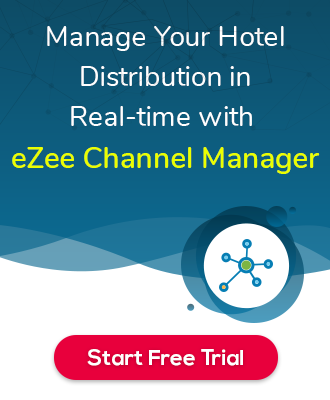 What is IP Config in eZee Absolute? How to configure it? In eZee Absolute, how can i change fonts in the Email Template? Reservation clerk user role is not able to book reservation it’s say Access Denied! (Assign Room) Your User account does not have rights to access this functionality. In eZee Absolute – How do I update/change user login password? CGST and SGST tax for GST configure but tax applied for room charges showing under Other Taxes. How to Print Inclusion on GR Card ? Inclusion is not able to print on GR Card. For that you need to print Folio and to print Inclusion on Folio you need to unable from eZee AbsoluteInclusion is not able to print on GR Card. For that you need to print Folio and to print Inclusion on Folio you need to unable from eZee Absolute configuration. How to receive feedback from client about services after checkout. Is it possible to have auto night audit feature in eZee absolute? In which email templates Hotel Logo is visible in eZee Absolute? How to send Reservation voucher as PDF Attachment? Is it possible to configure Virtual/Imaginary/House Use room in eZee Absolute? How to change colors of Reservation/Due-out/checked out, etc statuses?